The video documentation of moles is a safe means of skin cancer prevention. With the help of a video camera, the dermatologist establishes an exact mole catalogue which contains panoramic views of your body that help localise every mole. Moles that require closer observation are individually photographed using digital technology along with a dermatoscope (skin microscope). 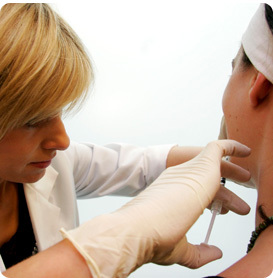 The dermatoscope permits assessment of specific structural features of moles which are not visible otherwise. This significantly increases the accuracy of diagnosing melanoma. The images are stored on electronic media. This facilitates an accurate comparison of earlier images to the most recent ones at regular examinations. The ABCDE rule can be used for the evaluation of a mole. Moles that fulfil one of the points of this rule should be observed by a dermatologist.